The overriding goal of this session is to help prepare the design of an IoT system starting with the device, up to the Cloud and other components between them. Embedded systems using sensors and connectivity are not new to embedded developers. Using these elements with multiple additional Internet technologies is. Adding these new system requirements to constrained devices is a challenge. 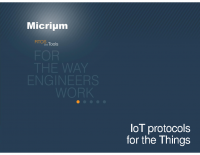 In this presentation, we will spend more time looking at the impact of specific IoT protocols. o State the SDO supporting the protocol and the standard number when available (ex. IETF RFC for COAP). The presentation will go over these protocols and provide use cases for each one. At the end of the presentation, a product developer should be able to take a decision on which protocol is best suited for his application. 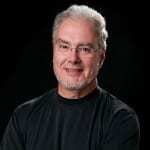 Christian Legare joined Micrium in 2002, a leading provider of embedded software, including the uC/OS real time kernel. Prior to Micrium, he was in charge of an IP (Internet Protocol) certification program at the International Institute of Telecom (IIT) in Montreal, Canada. Throughout his 22 years in the telecom industry, he has served as an executive in large scale organizations as well as start-ups, mainly in the engineering and R&D fields. He also currently serve as vice president of the IPSO Alliance Board of Directors, where he provides guidance on the embedded systems industry to the IPSO Alliance to advance the mutual goals of making IoT a reality. He holds a Master’s degree in Electrical Engineering from the University of Sherbrooke, in Quebec, Canada.